And so, the adventures continue. A round about series of events has landed me in SE Asia for the next few months. Follow my backpacking chronicles here and on Instagram. If you have any advice for SE Asia, feel free to shoot me an e-mail (karifiverson@gmail.com)! 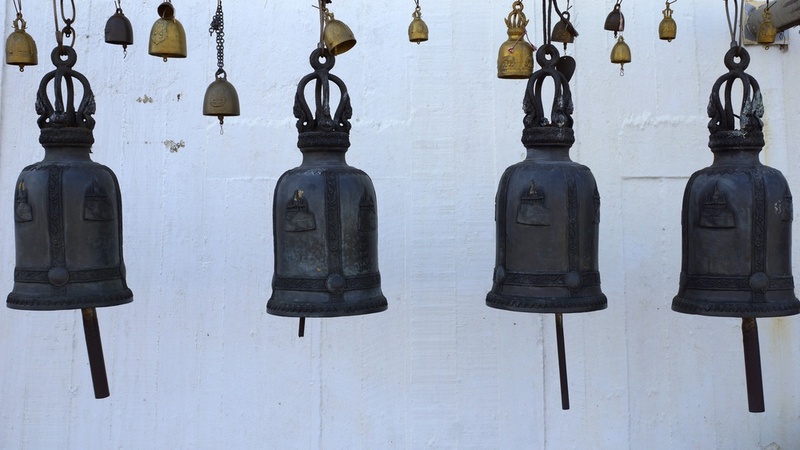 For decades Thailand has been a backpacker’s hub and a traveler’s destination. I’ve been here for about two weeks and am enjoying everything the country has to offer… Read on to learn about my first impressions of Thailand! Bangkok is incredible. The sights, smells, and smiling people make it a city unlike any other. The chaotic streets are counterbalanced by the calm parks and everywhere you go is a culinary adventure. If there is one thing I learned about Bangkok during the few days I spent there it is that the size of the city should not be underestimated. 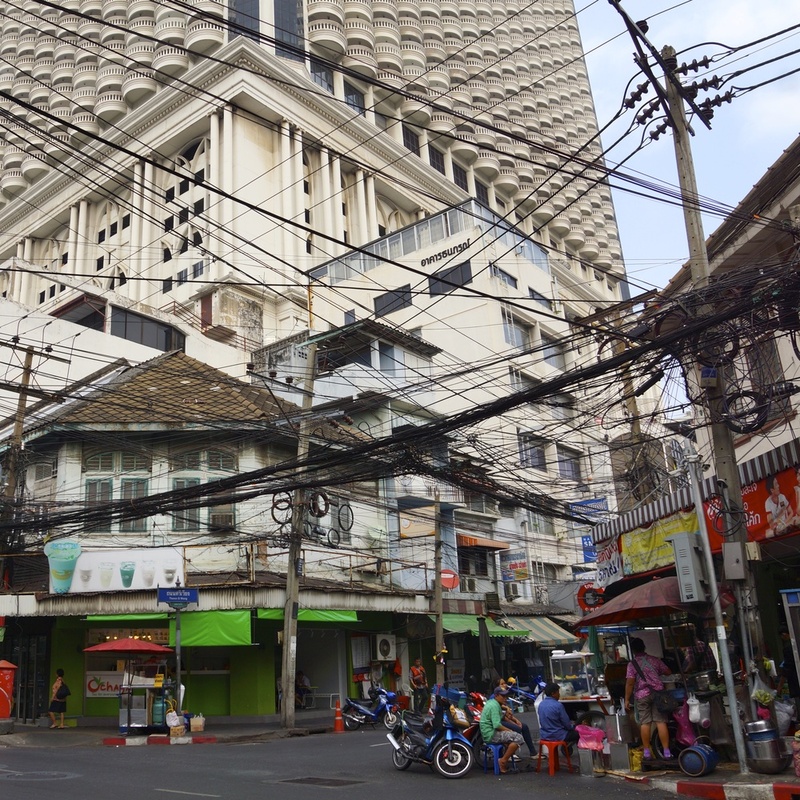 I’ve visited large cities before, but Bangkok is a country in and of itself. Part of the fun of exploring the city was taking all of the different forms of transportation, including: a modern metro system, old city buses (fans, wood floors and seats meant for people my size… i.e. 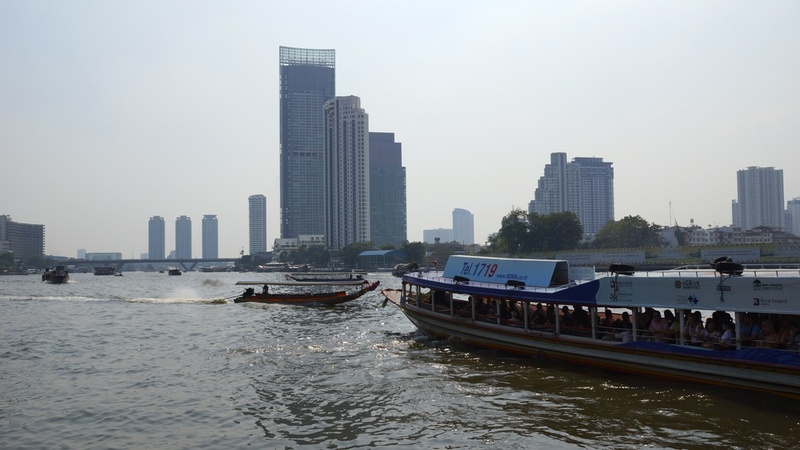 short), modern buses (air-conditioning and seats meant for taller people), motorcycle taxis, regular taxis, tuk-tuks, tuk-tuk buses (basically a pick up truck with a cover and a few benches in the back), and waterboat buses! 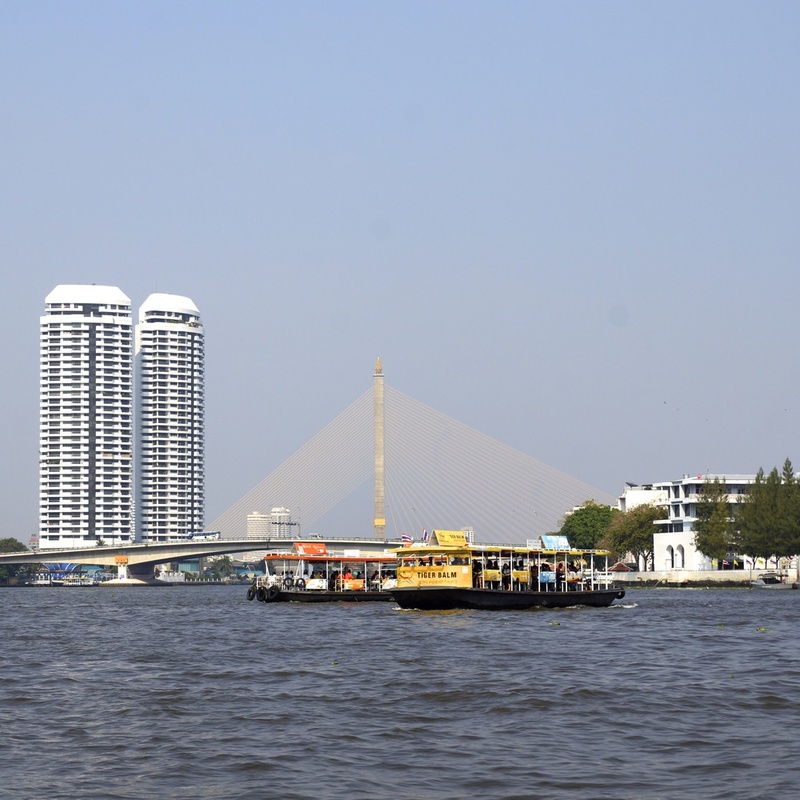 The quickest way to cross the city is by taking the waterboat bus since you can avoid traffic and the views are nice, too! We’ll be returning to Bangkok at the end of our trip, so we decided to save a lot of the tourist sites for then and enjoyed daily life in Bangkok. However, we did take one afternoon to visit the Golden Mountain, a Buddhist temple overlooking Bangkok. The views were incredible and gave an idea of how big the city really is. 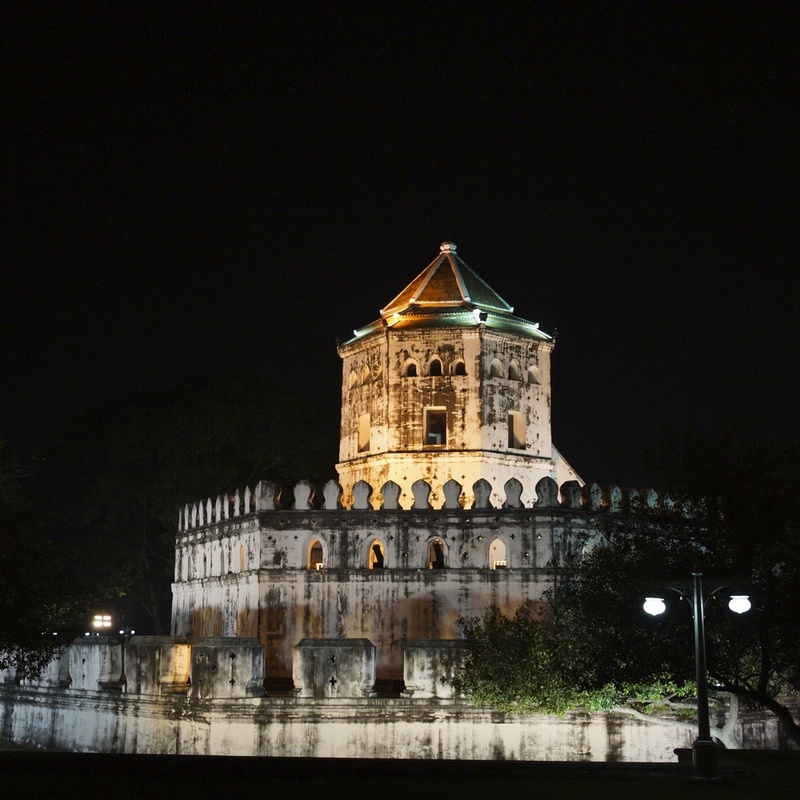 We stayed in the old city, Rattanakosin Island for a few days. 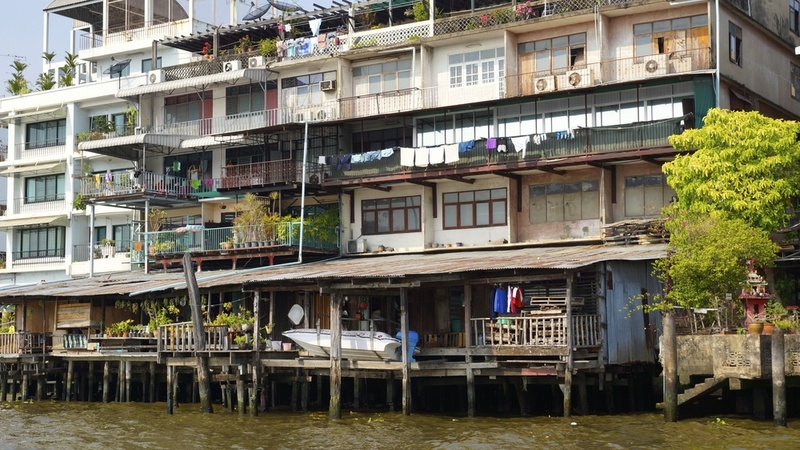 The rivers that run through Bangkok separate the old city, making it an island. It’s a beautiful area by day, but it really comes alive at night. Khao San Road is a popular area for backpackers, if you’re in the market for a pair of cheap sunglasses, good food, a beer, or really quite anything you can imagine, this is the place to go! 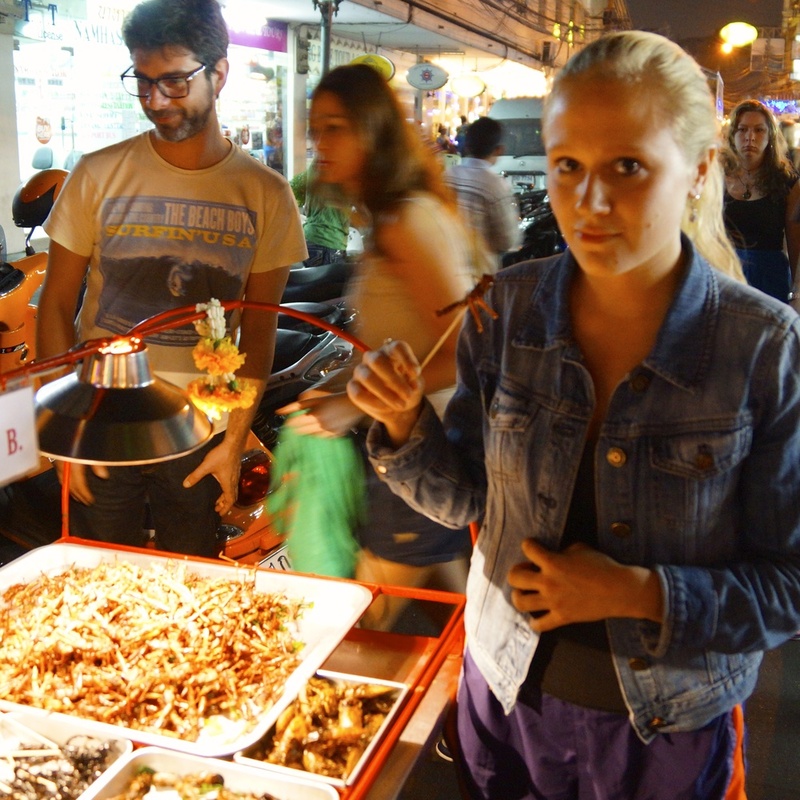 The best way to get a taste of Thailand in Bangkok is to eat from the street carts. 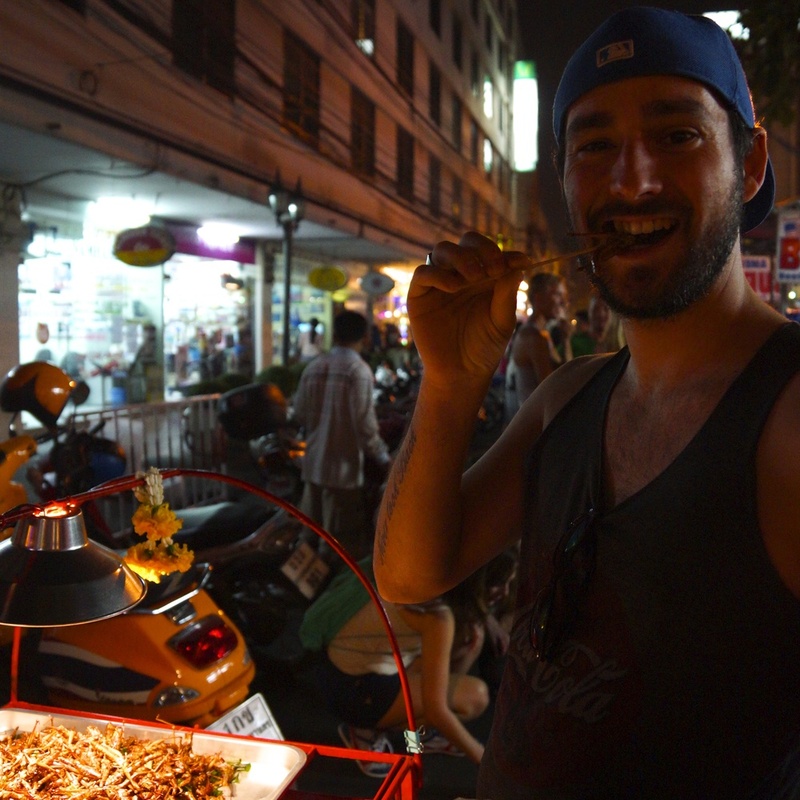 I know some people are afraid street food might be dirty, but I’m still doing just fine after quite a few culinary adventures. In Minnesota, the State Fair means food on a stick. I hate to say it, but Bangkok out does the Minnesota State Fair. Everything comes on a stick. Chicken, seafood, and pork are covered in spicy sauces, grilled bugs (I tried a grasshopper), pad Thai, and green curry are never more than a five-minute walk away in Bangkok. They’re delicious and you can usually eat for 30-40 baht (about $1 - $1.30). 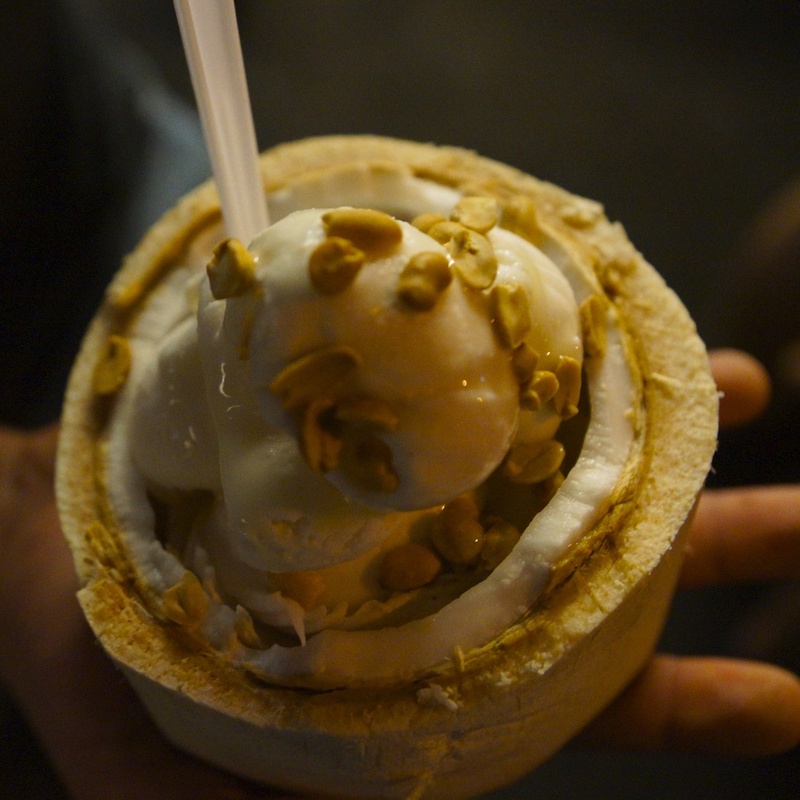 Homemade coconut ice-cream is also a MUST! 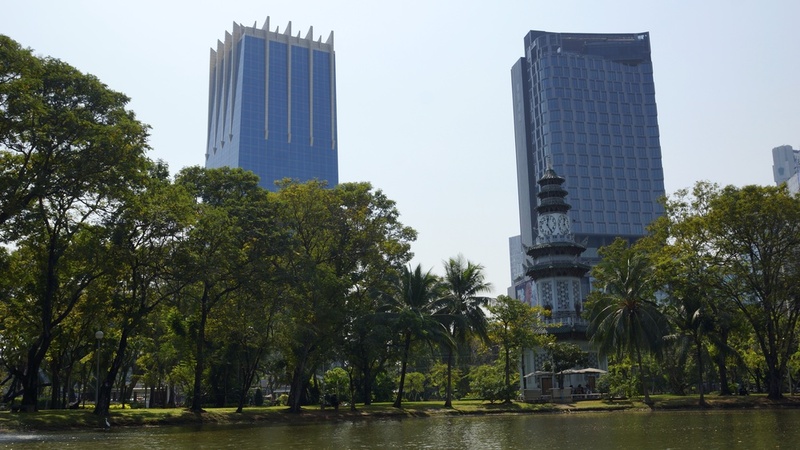 The parks in Bangkok offer peace and quiet from the hustle and bustle of the streets. They also turned out to be a fantastic place for seeing the city’s wildlife. 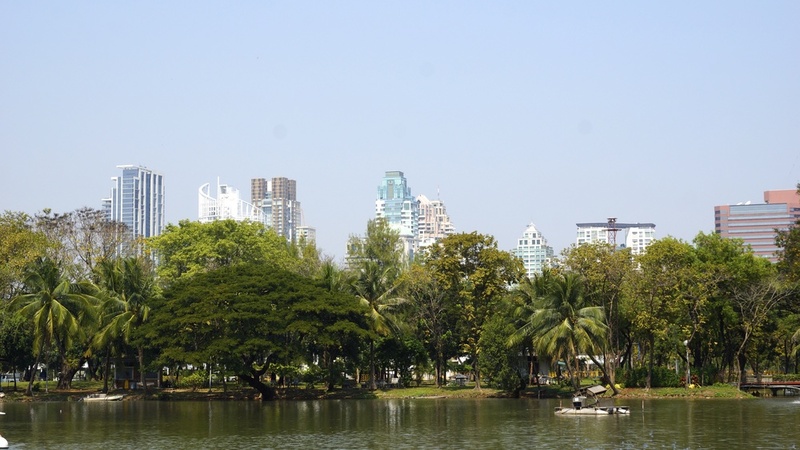 Paddle boating in the Lumphini Park was the perfect way to spend an afternoon! I’ll be posting more about Bangkok upon my return in April, but until then join me in the South of Thailand!